While Katana Foundations has become well known across Australia and New Zealand as a leading supplier and installer of screw piles, we work shoulder to shoulder with our clients, delivering best practice foundation and flooring solutions. Examples of what we offer supported by our screw piles are suspended ground floor slabs and raised floors. 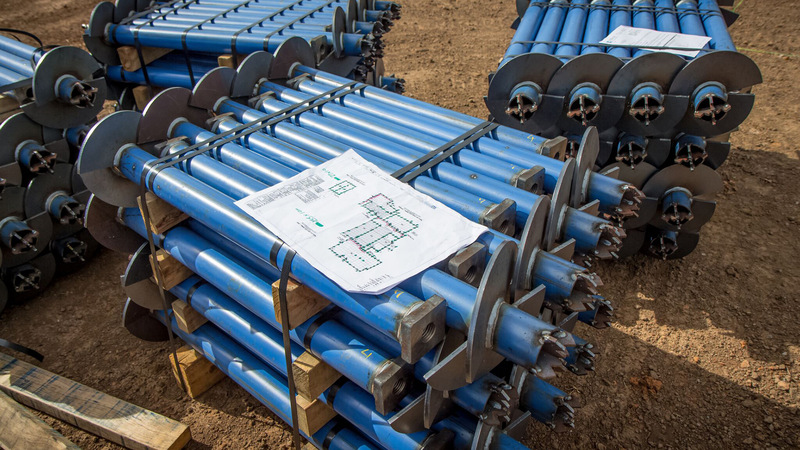 Our story is built on providing you with the best screw piles in the business and better options for foundations and floors to get you out of the ground quicker. The name Katana comes from the Samurai sword – our piles accurately slice through underlying strata efficiently and are the latest patented screw pile technology. We look forward to working with you. Screw Piles are a far more efficient foundation system than concrete. 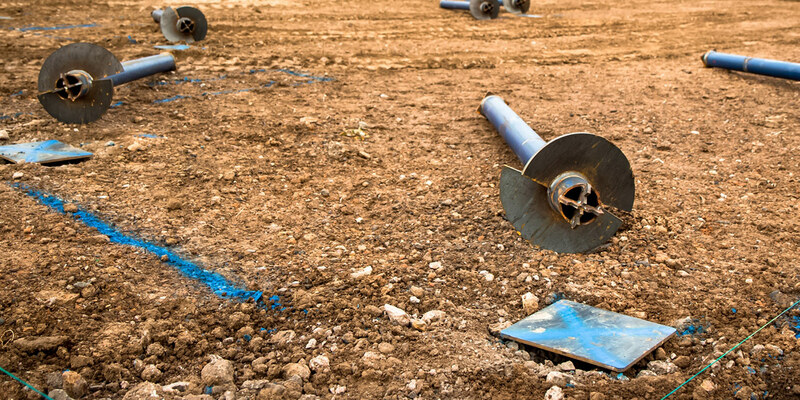 Installation is environmentally responsible, quicker, vibrationless and suitable for all geotechnical conditions. Our Twin-Fin screw pile is the market leader in use throughout Australia and New Zealand. 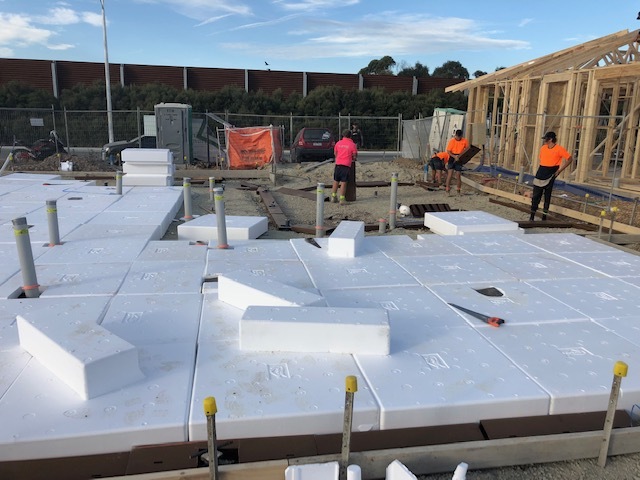 Our knowledge of the codes of practice and soil conditions mean Katana Foundations can provide our customers with cost certainty for their foundations. 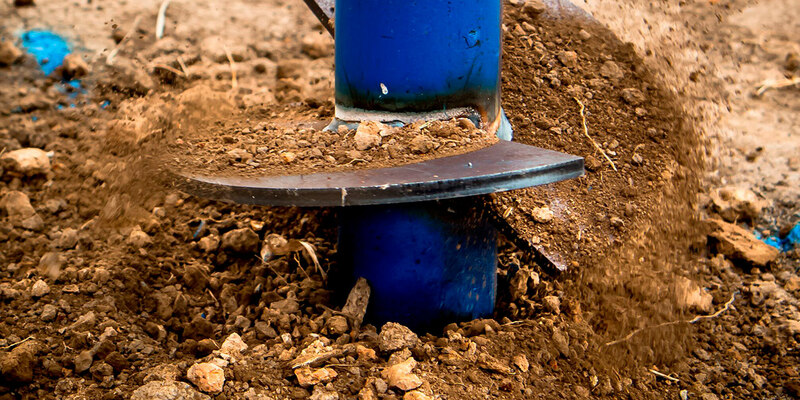 From site mark-ups, screw pile installation and testing, our foundational experience is second to none. Explore our latest projects where we drive efficiencies for our clients and get them building faster. Our mission is to service the Australian and New Zealand Residential Building markets with the highest quality steel screw piling products and foundation and flooring systems, installed to the exact specification, with a very transparent underlying process. 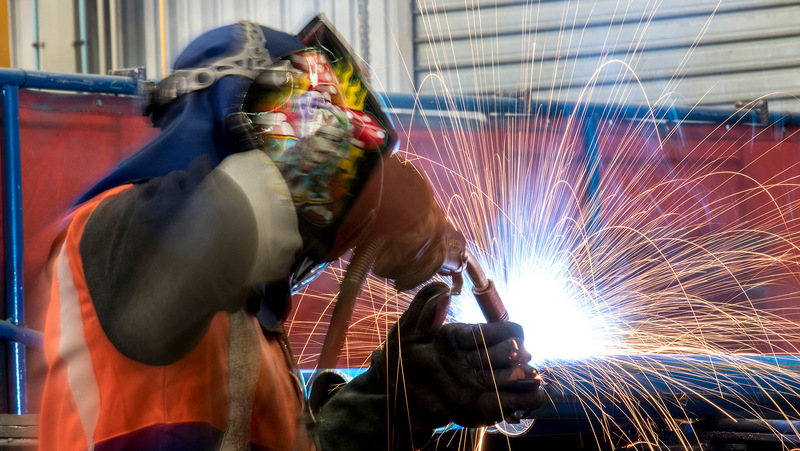 We will not compromise on the best quality Australian steel piles manufactured by Australian workers. 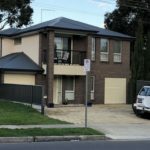 We supply all states of Australia and New Zealand and have provided screw piles and foundation solutions to over 10,000 homes with no issues. We are always looking for resellers and installers to join us, so if you think you have what it takes, give us a call. 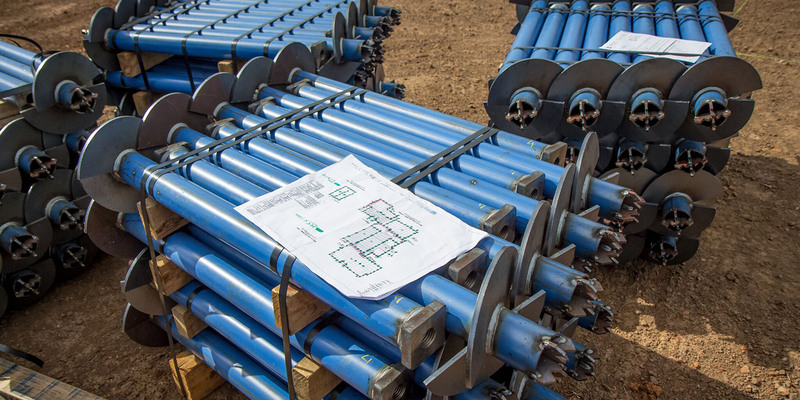 We take pride in being an innovative leader in the steel Screw Piling industry. 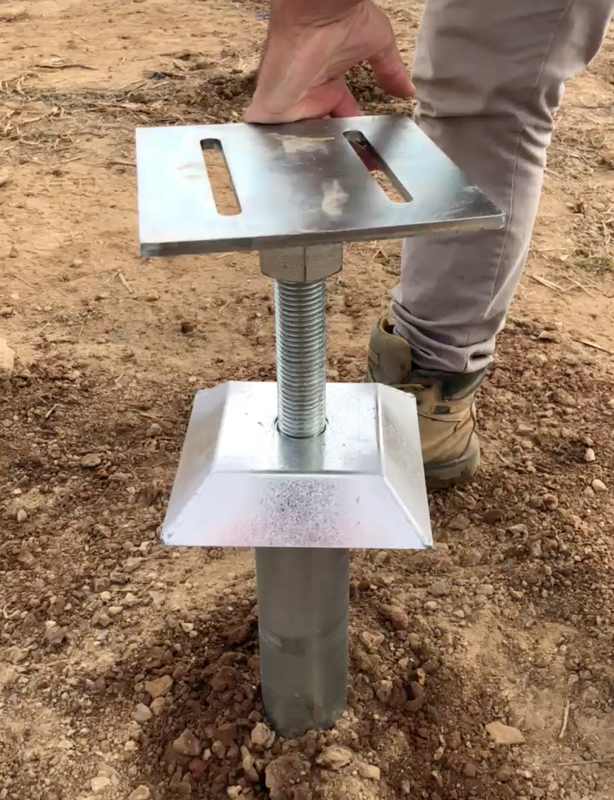 Our unique threaded square pile head allows multiple attachments for locking in concrete footings and supporting/attaching to suspended ground floor slabs and raised floors. Katana Foundations is leading the way with innovation of new, ‘back to base’ installation reporting tools that will also include and adopt an instantly reported on site Risk Assessment. Our onsite data, together with a marked plan and photos are sent to the certifying engineer in order for our work to be checked and verified. As the first trade on site, it is imperative that our installation process is carried out with the utmost of accuracy and compliance. 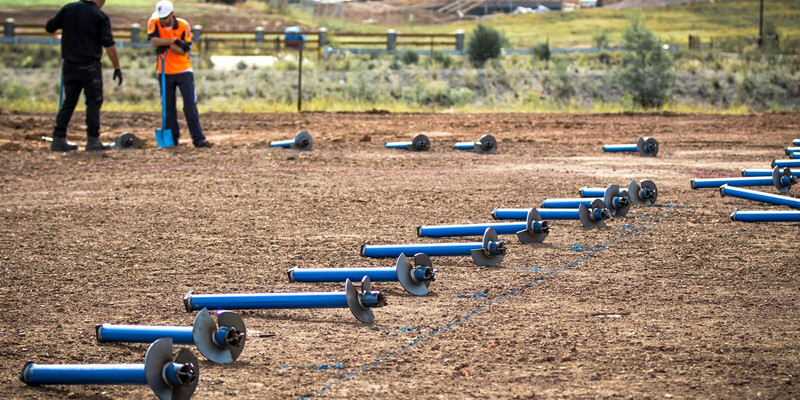 There can be no compromise when it comes to the way in which screw piles are installed. Our onsite rapid uplift testing process is simple, effective and accurate. The test is used to ensure that the minimum required uplift capacity is achieved when specified, as well as using a calculation method to determine whether the pile will satisfy the nominated kN in compression. Strong relationships with structural engineering and geotechnical investigation services and our extensive experience ensure our piling projects are the most compliant, efficient and cost-effective as possible. With complete traceability of every pile manufactured by our Quality Assured National Manufacturer, Katana Piles & Extensions are the strongest, and most reliable in their class. Quality assured manufacturing and testing means peace of mind for all builders, structural engineers and home owners. Our pipe is the real deal. 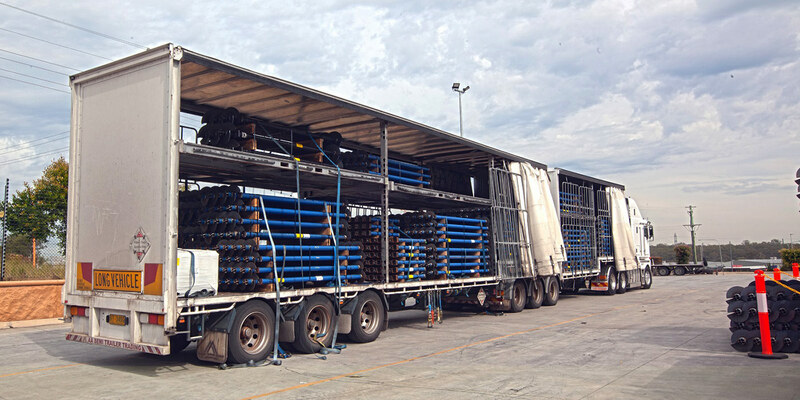 Manufactured in Australia, rolled into pipe in Australia, made into industry leading Katana Piles…..in Australia. By using a consistent, locally controlled product, Katana Foundations can give all customers the guarantees and certainty that should be expected. These are the products of which your entire build depends on, so do not risk it.